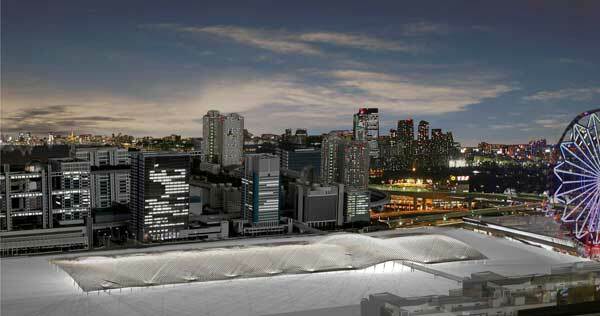 Development of the Waterfront-Subcenter by relocating the fish wholesale market Tsukiji. In the most populous metropolis, the world’s largest fish wholesale market, the Tsukiji market, needs to expand. Land is too expensive to afford, but a quarter of the central districts remain underused. Relocate the fish market! Having reached its geographical limits, Tokyo has expanded on the sea. The strip of reclaimed land dividing the central wards from the sea is called the Tokyo Bay Area. Left out from the tight network of public transportation, it remains disconnected and difficult to access. No real focal point has yet taken root in the Bay. In order to ignite its development into a true sub-centre, the Bay needs a vibrant attractor. Tsukiji, the world’s biggest fish wholesale market has reached the limits of its development on the present site and plans to move. With its huge daily flow of people and vehicles, the wholesale market and the neighbouring outer market are one of Tokyo’s busiest and most popular attractors. 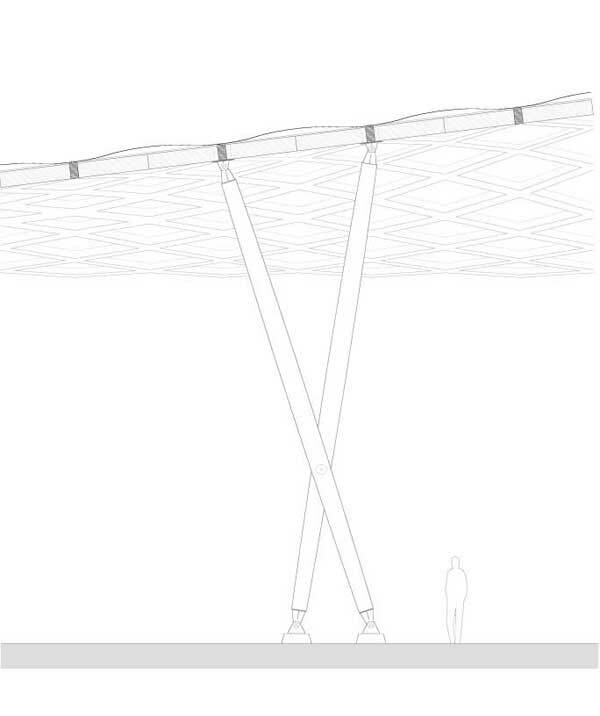 The project relocates the fish market on Odaiba Island and lays out a masterplan for the entire site. A new subway line is planned in addition to the existing Rinkai line. 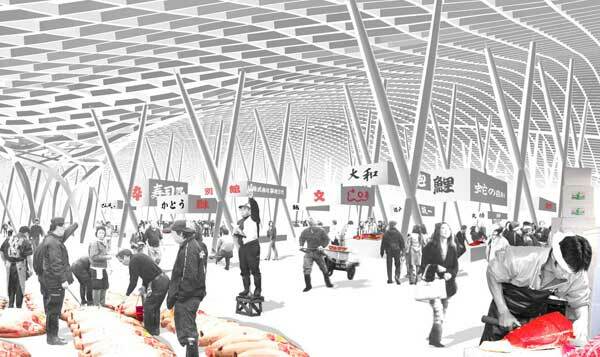 The new market infrastructure is a large roof serving as a shelter for three functions: the actual wholesale market with its stalls, auction halls and docks, the metro station which serves as entrance hall for the market and the so-called outer market.